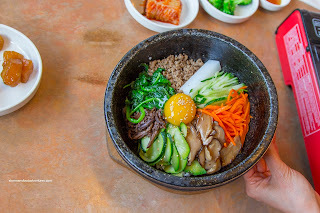 For me personally, I've always maintained that Hanwoori, out on Imperial near Kingsway, has been consistently one of the better Korean restaurants in the GVRD. However, there are a wealth of other spots out on North Road that could easily challenge that assertion though. 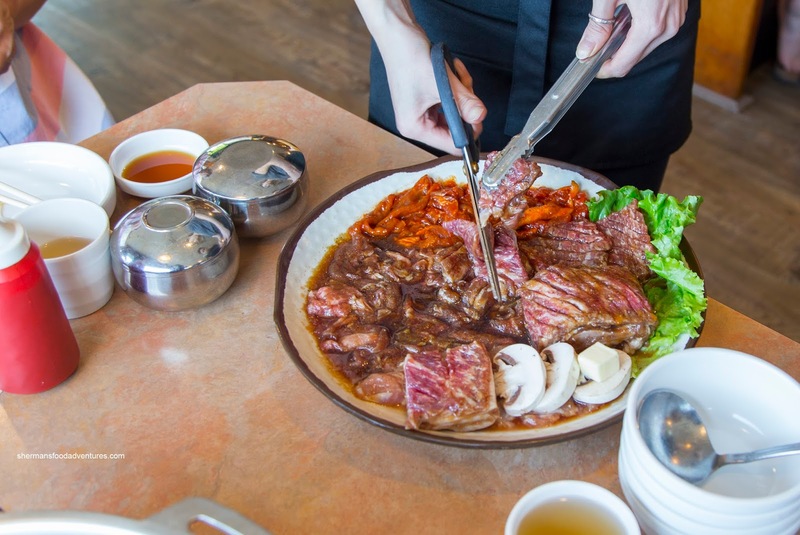 As true as they may be, year after year, Hanwoori still remains popular. Since I haven't been back to the place in 7 years, it was about time we paid them a visit. 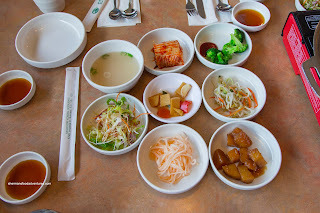 This was actually for my son's birthday dinner as for some reason, Korean eats is his favourite. Luckily we made a reservation because the place was packed. Somehow they put down my name as Trevor (???). 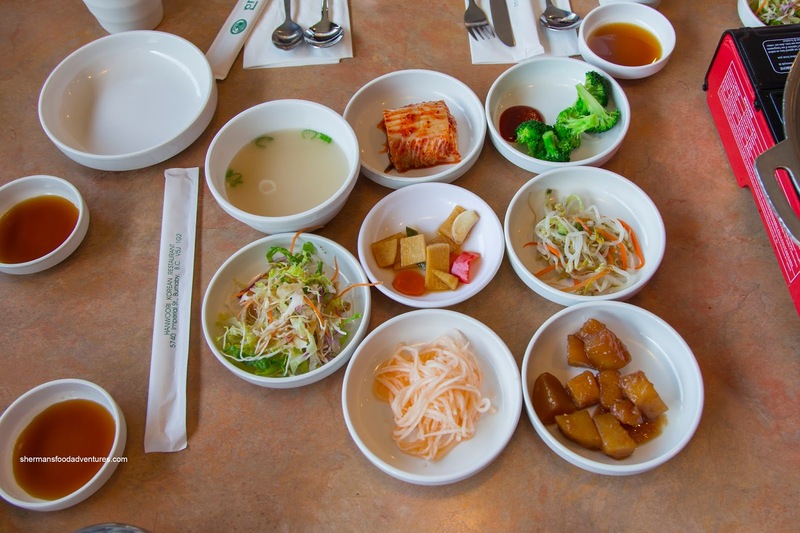 Anyways, we began with the standard Banchan featuring salad, kimchi, broccoli, bamboo shoots, sprouts, daikon and potato. For me it was all about the potato as it was soft (without being mushy) and just sweet enough. Kimchi was nice too with a solid crunch giving way to impactful spiciness. Bubbling hot, we got the Gori Gom Tang that sported a generous amount of tender and gelatinous oxtail. The soup itself was silky with a certain rich fattiness. I didn't have to add too much of the accompanying salt for the soup to have impact (but I did need to add it though). Naturally, we had to get Combo A for the table as my son would have a fit if he didn't get some Korean BBQ. 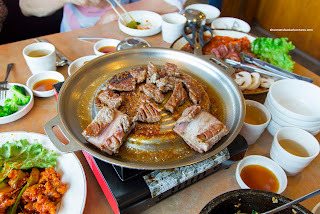 The plate consisted of short rib, beef, spicy pork and chicken. Since we were seated at a window booth, there was not actual ventilation above us. Hence it got rather smoky and hot (the whole restaurant was warm). Furthermore, we had to cook on a portable burner rather than a built-in one. No matter, as it still seared up the meat nicely. 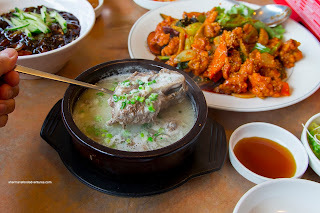 I found the quality of the meats to be quite good especially the short ribs. They were buttery and tender with the classic chewiness. I wasn't fond of the bulgolgi though as it was in very small slices and basically disintegrated on the grill. Rounding out the meal with some carbs, we got both the Dolset Bibimbap and the Jajangmyeon. 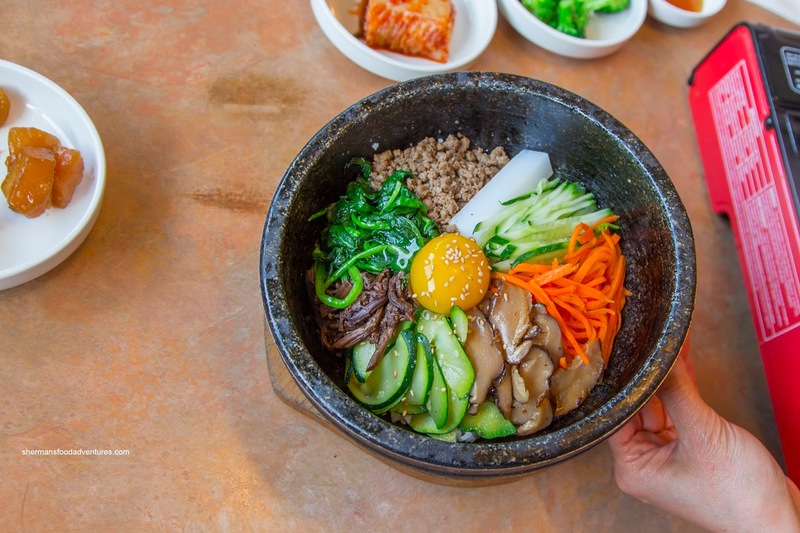 As evidenced in the picture, the bibimbap was nicely constructed with vibrant and fresh veggies. Underneath, the rice wasn't overly soft, but since the stone bowl wasn't supersonic hot, a crust didn't actually form. Nevertheless, it was still good. As for the jajangmyeon, it was on point. The noodles were chewy and plentiful while the black bean sauce on top was balanced. Nice sweetness from the onions while the bean paste offered up a mild saltiness. 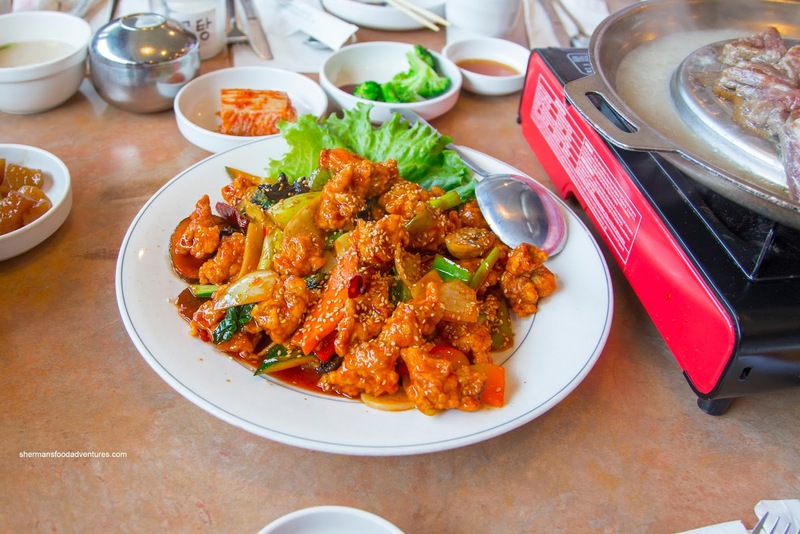 The last item was the Nagogi (Sweet & Spicy Chicken with veggies). This was pretty sweet and only a touch spicy. I found the chicken to be a little dried out while the exterior wasn't as crunchy as it appeared. It had soaked up all the sauce and had become moist. This was a pretty large portion, but then again, it better be for a whopping $23.95. So, in the 7 years has my opinion about Hanwoori changed? I would actually say yes. I've had better Korean food along North Road for less coin. 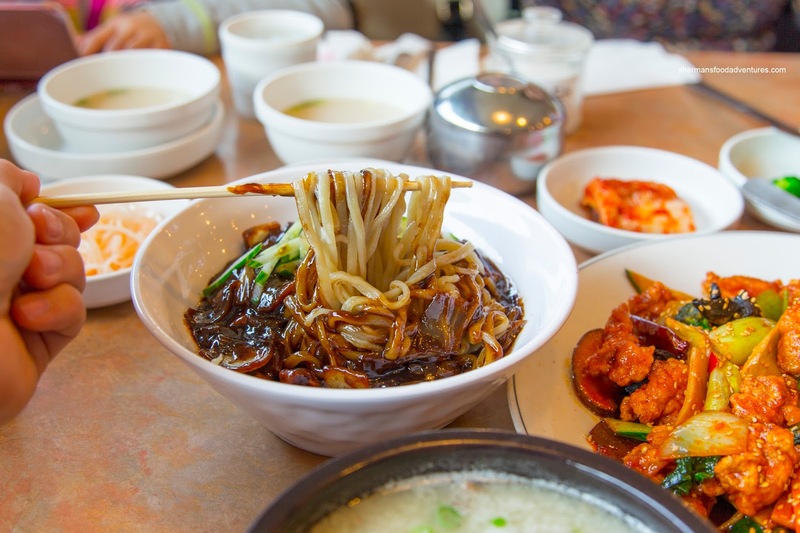 Therefore, Hanwoori is still a decent option, but hardly the must-visit as it was before.